The airline industry's revenues will crash to record lows this year, estimates show. The airline industry is set to lose a staggering $4.7 billion this year due to the economic crisis, a greater hit to revenues than the industry experienced after the Sept. 11 terrorist attacks. Worldwide airline revenues are expected to drop 12 percent this year, compared to the 7 percent the industry lost after the 2001 bombings of the World Trade Center towers. The projected $62 billion loss in sales will hit all international markets, especially affecting international travel to and from Asia, Europe and Latin America. "The state of the airline industry today is grim," International Air Transport Association CEO Giovanni Bisignani said. "Demand has deteriorated much more rapidly with the economic slowdown than could have been anticipated even a few months ago," he said. The estimate is nearly double what experts projected the year's loss would be in December. Bisignani said that rebuilding global airlines post-recession would be a challenge unlike any the travel world has seen. 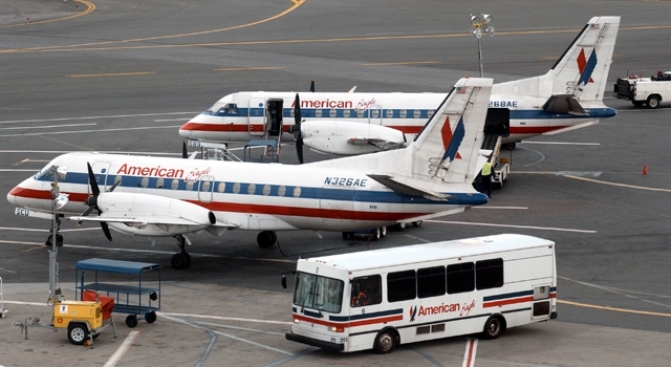 Airlines lost about $23 billion after the Sept. 11 attacks. The industry briefly regained footing, inflating its revenue back to normal levels before the recession began to slam the economy last year.